Your support of The Library allows our community to learn, laugh and grow stronger every day. On March 24th MARCO officially hit the road. Specifically designed to take library programs beyond The Library walls and into the community, MARCO was the centerpiece of the 2nd Century Campaign. Question: How many sites did MARCO visit? Answer: 85 sites, including Hamilton Health Center, Keystone Correctional Facility, WITF, Harrisburg School District Summer Enrichment, B’nai B’rith, Broad Street Market and many others. Question: How many children and adults received free books to keep when visiting MARCO? Answer: 3,498 of them! Free books are one of the two most beloved features of MARCO. Question: What is MARCO’s other most beloved feature? 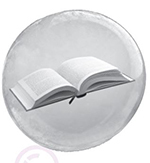 Question: How many times did The Library connect someone with a book, magazine, or other resource they needed? Answer: 1.2 million times! Library users borrowed 1,248,148 books, magazines, eBooks, music and other resources. Question: How many times were those items borrowed from locations other than a library? Answer: 3,847 times via outreach sites, MARCO and Open for Discovery crates. Question: How effective was The Library at helping close the digital divide by connecting people with computers and the Internet? 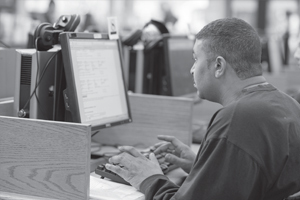 Answer: Library visitors used public computers more than 109,000 times. Library laptops were borrowed 311 times for in-library use. 81 adults attended computer learning sessions at The Library. Question: How many times did The Library answer someone’s question? Answer: 123,379 times. Some of the most common subject areas were: History, Local Services, Database and Website Demos, Genealogy, Career/Occupation, Legal Information, and Consumer Information. Question: How many times did people visit a library? 695,423 times in person and 631,667, virtually, plus 30,254 via outreach and MARCO. That’s more than attended all Penn State home games combined. 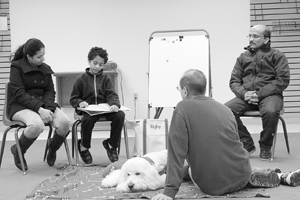 Question: How did The Library work with community partners to strengthen the community? Answer: As part of Giving Tuesday, donors like you contributed 2,805 pounds of food for the Bethesda Mission. Community members contributed mittens, scarves and hats to the Warm Hands, Warm Hearts program. More than 150 of these items were made at library programs. The scarves, hats and mittens were displayed on a miniature “clothesline” in each library, free for the taking by anyone in need of them. 234 people got help with their taxes, thanks to a partnership between The Library and AARP. Question: How many children were better prepared to learn thanks to The Library? Answer:Thousands of children and their adults. 24,993 children and adults attended Born to Read, Storytimes and Discovery Programs. The Library introduced early learning tablets to assist parents in choosing and using educational apps and building computer literacy in their children. Cruise into Kindergarten was offered at several libraries and 74 children and their adults attended. 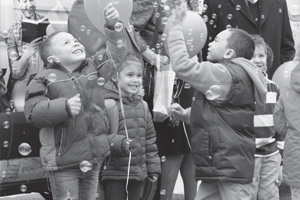 730 early learning programs were offered at outreach locations and via MARCO. 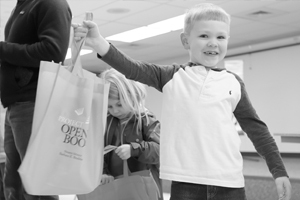 Project Open Book donations and programs gave 4,659 children a book to keep, helping them build a home library—a key component of early literacy. 3,498 books to keep were distributed via MARCO. 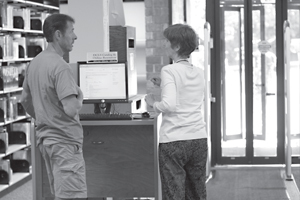 Question: How many people in our community are library cardholders at The Library? Answer: 146,546. That’s 62% of The Library’s service population. 8,062 of them are new library cardholders as of 2017. Question: How does The Library work with schools? Answer: 128 school groups visited The Library last year, with 1,760 children who attended a class visit. In addition, outreach staff visited schools and Head Start locations 66 times. And the summer reading club, which keeps children learning all summer long, was supported by all 9 school districts in The Library’s service area. Question: How did The Library support adults trying to help themselves? Answer: Adults attended workshops on simple wills and living wills, basic computer skills, yoga, tai chi and poetry. They also attended sessions on everything from couponing and cooking to an African American Oral History film. In one of the biggest hits of the year, 2,000 adults were able to view the eclipse safely using glasses provided by The Library through a partnership between the STAR Library Network and the NASA@MyLibrary initiative. The glasses were in such demand that we quickly ran out of them and connected callers with instructions on how to make their own safe viewing devices. Question: Reading is wonderful, but how does The Library support all facets of lifelong learning? 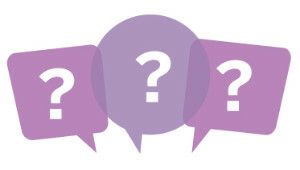 Answer: With a variety of programs for children, families, and adults. 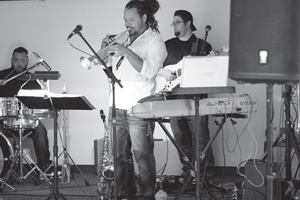 Musical concerts were offered at libraries 7 times and featured groups like Los Monstros, Vellamo, Simple Gifts, The Liberty Hose Band, the USAF American Clarinet Quartet and a Bob Dylan tribute band. 188 people enjoyed the results. 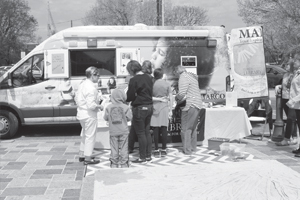 Book discussions, author appearances, sessions on writing, coloring programs, knitting, and several film series were also available at The Library. Question: What impact do volunteer hours and donor gifts have on providing library service? Answer: We couldn't do it without you. 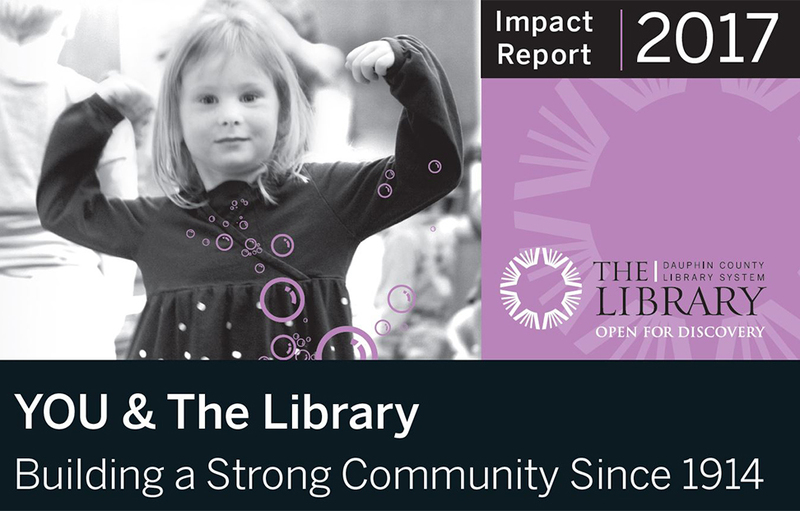 Donor support through several campaigns provided more than half a million dollars in 2017, supporting everything from buying books to offering programs and stabilizing The Library’s computer network. 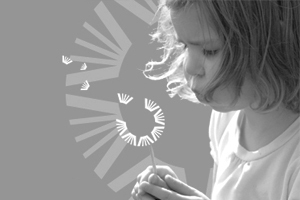 Endowment funds make special program series possible and the 2nd Century Campaign donations allowed for the launch of MARCO, expanded adult programming, and early learning tablets. Volunteers contributed more than 7,200 hours of service last year, assisting with everything from assembling new cardholder and kindergarten registration bags to cleaning shelves and reading to children. Their contributions equal the hours of 3.73 full time employees. Community groups contributed 436 hours. And The Library’s Board of Trustees is 100% volunteer, and they alone contributed 411 hours of service to guiding The Library throughout the year. Friends of the Library groups contributed more than $35,000 last year, offered programs and supported important services like movie licenses and magazine subscriptions. 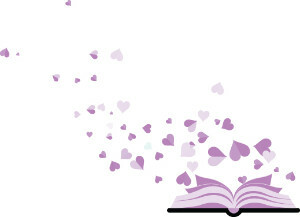 Staff Picks: Staff Love The Library, Too! 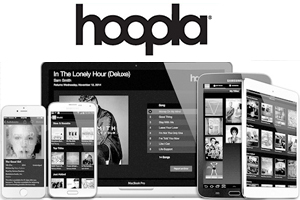 The Library staff elected to have staff fund drive donations support the Hoopla service popular with borrowers. Thanks to their efforts and those of several other donors, The Library will “raise the cap” on Hoopla for three months in 2018 - allowing more borrowing through this streaming and download service. Question: How do endowment funds work to help our community through The Library? Answer: Endowment funds provide a separate income stream for both general operating and specific services. Thanks to the vision of many 2nd Century Campaign and other donors, endowment grew by almost $300,000 last year. This fund was established in 2017 in recognition of Mr. Olewine’s longstanding support of public library service to our community. During his lifetime, Mr. Olewine provided the naming gift for the Anna M. Rintz Community Room, in memory of his aunt, at the library in Hummelstown, and the lead building and naming gift for the Madeline L. Olewine Memorial Library in uptown Harrisburg, in memory of his mother. In addition, he funded many other projects, including the MARCO outreach van. Unfailingly gracious and generous to the end, Mr. Olewine’s bequest allowed The Library to establish this fund in his memory. 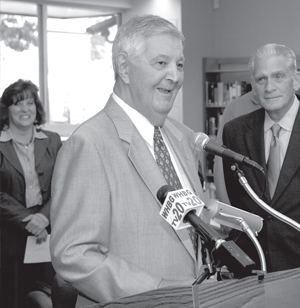 In doing so we recognize not just his support of library service, but the longstanding and generous support he and his family have provided throughout the Harrisburg area. 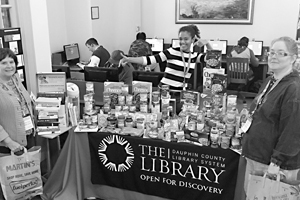 This fund provides operating support for the two libraries Mr. Olewine provided lead gifts for, the Madeline L. Olewine Memorial Library in uptown Harrisburg and the William H. & Marion C. Alexander Family Library in Hummelstown, PA. Thank you for valuing and sustaining lifelong learning. The generosity of library donors and volunteers makes a significant difference in the lives of many. And in 2017, your help allowed The Library to reach out even further with the launch of MARCO, the exploration station.